San Diego At Its Finest! 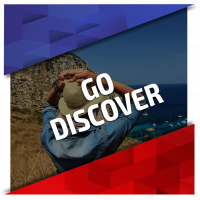 Trails, Caves, Cafes, Camping, and More! How To Plan Like a Pro For Your Week-Long Meal Prep On an RVing Trip! Don't Go RVing Without Reading This! 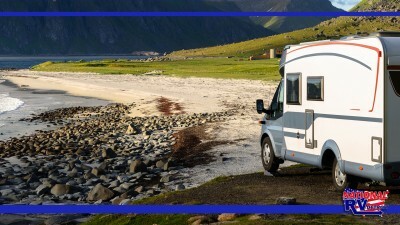 What Can I Tow Behind My Motorhome? 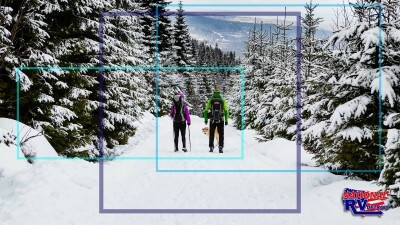 GoPro Accessories To Help Document Your Adventures! 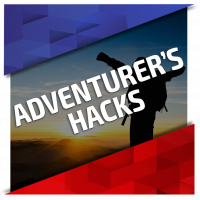 Designed to help you through anything you need to know for your camping trips. 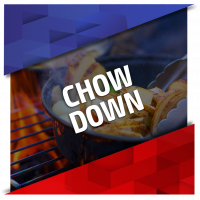 RV and camping tips, places to go, and great recipes along the way! 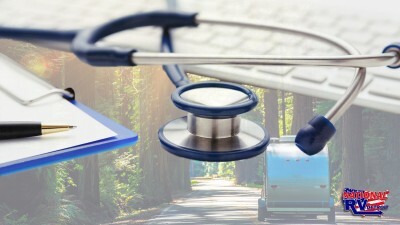 It's important that your medical needs are covered as you venture out to enjoy the RV lifestyle, so let's take a look at health insurance for the nomad. 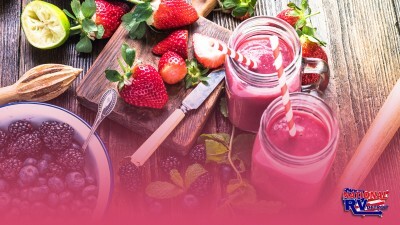 Refresh Your Thirsty Palate With These Tasty and Healthy Smoothies! Looking for the perfect refreshing treat? Refresh your palate with these tasty and healthy smoothies! You can make them at home or right at your campsite! What are those strange stacks of rocks in the woods, and what do they mean? 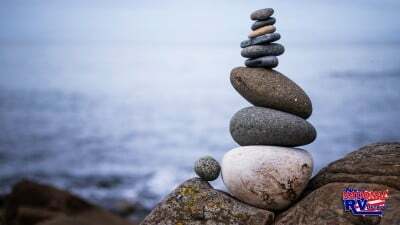 Here's the secret behind stacked rocks, and they may not mean what you think! A GoPro is the ultimate tool to make sure that memories from your trip last. 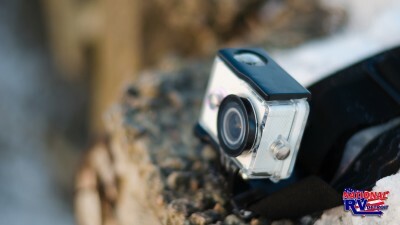 Here are some great GoPro accessories to help document your adventures! Getting outside is what camping is all about! 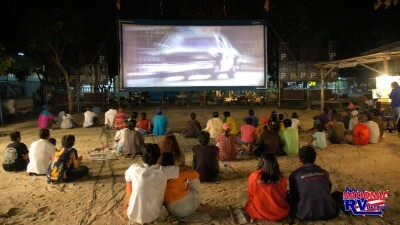 Instead of just roasting marshmallows, try these outdoor movie night ideas for some great family fun! Some parking surfaces have more to be desired than others. 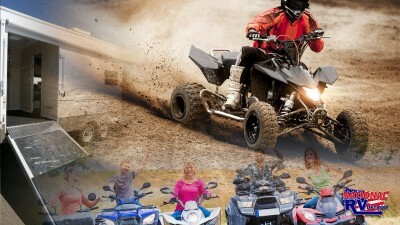 To find out which one is best, read our list of the best surfaces/terrains to park your RV on! Calling all rock hounds! Need ideas of what to do with your rock collection? 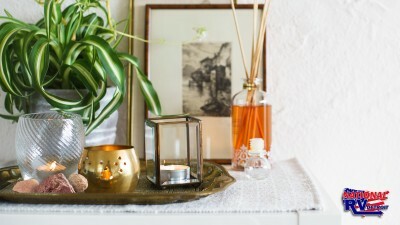 Here are some wonderfully beautiful nature-inspired DIY decorations that rock! 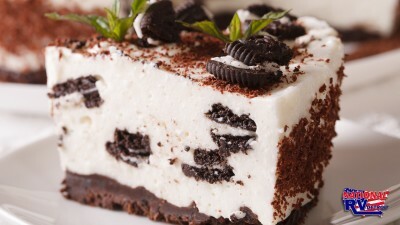 Cheesecake is one sweet treat that people can't resist. Indulge in making this minty bark cheesecake and your taste buds (and your guests) will thank you! Because you never know when you'll find yourself in need of warmth or drinking water in the great outdoors, learn how to start a fire without matches. 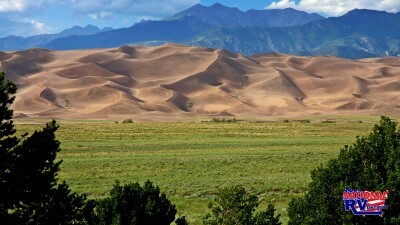 Michiganders are no strangers to the sight of sand dunes, but you haven't seen any dunes quite like the ones in Great Sand Dunes National Park, Colorado! Dry Winter Air Means Chapped Lips! Make Your Own Lip Balm! Dry winter air means chapped lips, so make your own lip balm! It takes just a few ingredients and a couple easy steps, and your dry lips will thank you! What if we told you that you could replace the black tank with a composting toilet? It's true! 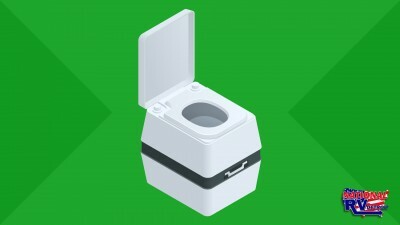 Here’s how composting toilets work and how to install one! 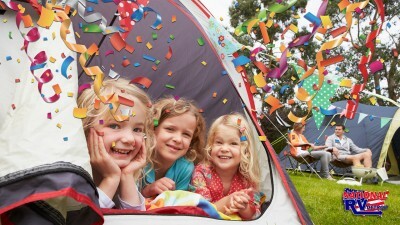 Camping-Themed Birthday Party Ideas for Your Little Camper! 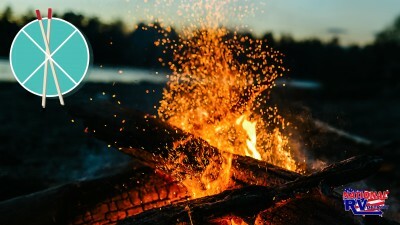 This year, skip the expensive trampoline parks or bounce houses and throw an in-tents camping-themed party that’ll have everyone asking for s’more! Spring Into Savings With Our Early Bird Sale! Get a head start on savings with our Early Bird Sale! 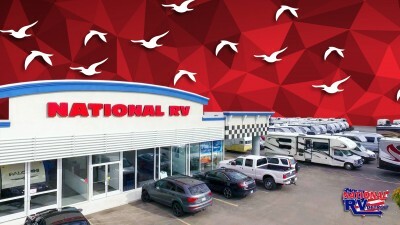 Mark your calendars and come on down to browse our low prices for the nation's leading RV brands! 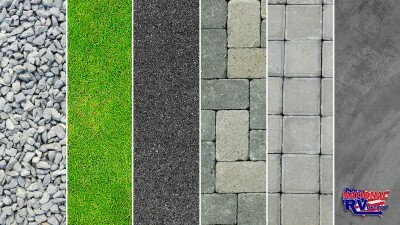 Tired of drab RV flooring? Roll up your sleeves and try this RV renovation! Peel and stick wood flooring is inexpensive, easy to install, and beautiful! 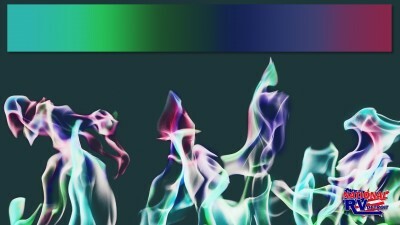 Spark Up Your Campfire With Dazzling Colors! Try something new this year that will set your campsite ablaze in shimmering hues that elicit “Oooohh”s and “Aaaahhhh”s from everyone nearby. Here's how! Prime Spots To Winter Camp In Michigan's U.P.! Brave the snow and cold temps this season and check out these prime spots to winter camp in Michigan's U.P.! Summer just can't compare to winter camping! 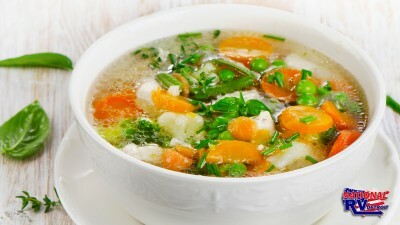 Try these 10 great winter soups you can make in your RV kitchen! They warm you up after a day in the cold and give you the energy needed for more fun! 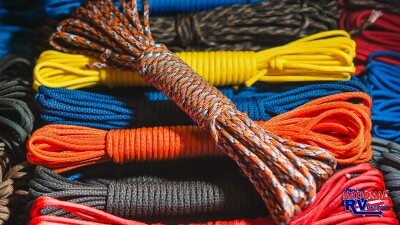 There are so many emergency uses for paracord! Read about them all here and you'll never want to head into the great outdoors without carrying some along! 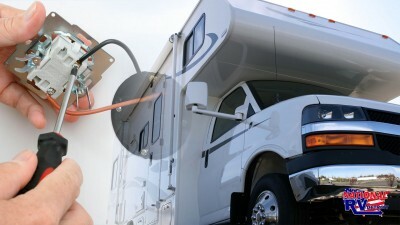 It may not be obvious what some RV features are and what they do. 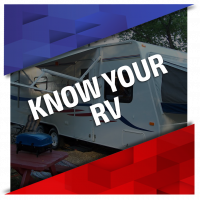 Here is a handy guide to help you understand those mysterious RV features. 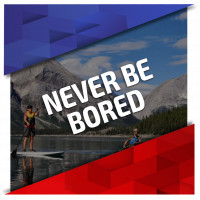 Put your plastic sleds away, add some extreme to your skis, and do something new! Play like an Olympian this winter and try out these alternative sports!